With Leeds United not in action until tomorrow, I thought we’d take a look at what happened elsewhere this weekend. Millwall and QPR move level top of the Championship with consecutive wins that leave their goal margin at +7 each. It was a case of newly promoted vs newly demoted at the Den, with last years League One play-off winners destroying Hull City 4-0 in one of those games where it’s unfortunate that they both couldn’t lose. Meanwhile, QPR had things rapped up early against our Yorkshire rivals, Sheffield United with all three of their goals coming in the first 23 minutes of the match. After a poor start to the campaign, Kevin Blackwell has been sacked by Sheffield United after a humiliating home defeat at the hands of former Blades manager, Neil Warnock. 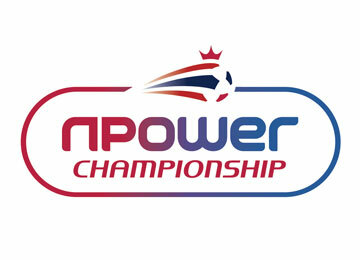 Barnsley also took all three points beating Palace 1-0 thanks to a McCarthy own goal in the first half. Elsewhere, Donny drew 1-1 at home to Bristol and Middlesbrough’s match away to Leicester ended goalless. An injury time winner from Grant Holt gave Norwich City their first victory of the season over Scunthorpe United, and the only other team to take all three points today was Swansea who battered Preston 4-0. Outside the Championship, Leeds United youngster Tom Lees scored in Bury’s 2-1 win over Oxford United. It’s the exotic seaside resort of Blackpool that will be covering the back pages tomorrow though after they started their Premier League campaign by battering Wigan 4-0. The result didn’t flatter Simon Grayson’s former club either, and in truth, they should have scored more! The problem they may have now however is that few teams are going to underestimate them after that game. Finally, Jermaine Beckford made his début for Everton coming on as a sub with 20 minutes remaining of their 1-0 defeat away at Blackburn. Becks will be disappointed by his first game in the Premier League as he failed to make an impact and barely got a touch of the ball. It’s off to Nottingham tomorrow for the Whites who currently find themselves alongside opponents Forest in the relegation zone (might be a bit early to be concerned?). A full preview of that match can be found here.